progeCAD Professional 2019 is robust, Windows 10-ready. progeCAD is most compatible with the AutoCAD® interface and editing Autodesk DWG™ & DXF™ files. AutoCAD users will have little trouble learning progeCAD. progeCAD uses AutoCAD-similar commands and interface, including AutoLISP scripting and, most importantly, full DWG file support. progeCAD is ideal for concept, architectural, civil, mechanical, home kitchen & bath floor plan, cabinet, furniture and industrial drafting and design. It offers superior CAD value at a fraction of what AutoCAD LT or Microstation costs. License includes one month free progeSOFT TSL2 support and one year TSL1. Local Australian support is also available (choose below). progeCAD 2017-, AutoCAD 2014+, AutoCAD LT 2014+, TurboCAD PROFESSIONAL 18+, ArchiCAD, Chief Architect, IntelliCAD 7+.. Term and rental licenses do not qualify. Each unique old CAD serial may be redeemed permanently for only one new progeCAD Pro Serial. Contact us to inquire about this or other products, prices or discounts. 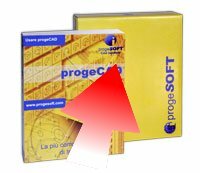 If your current CAD system is NOT in the list above you can buy progeCAD here. Which CAD System do you currently use?